The 10 Best Places for Margaritas in Utah! The margarita could be the perfect cocktail, not only because of its refreshing combo of ingredients, but because most margaritas are poured in the spirit of celebration. Whether it’s at an outdoor restaurant on a sunny Saturday afternoon or shared with your best friends during a night out, margaritas always bring good vibes. Here are the 10 best places to get them in Utah. Frida Bistro is a popular Mexican restaurant in Salt Lake City. Featured on the Food Network and the winner of various state prizes, Frida Bistro—with its extensive and separate margarita menu—could be Utah’s top spot for the tequila-based drink. Frida Bistro’s margaritas vary from more traditional (e.g. the “Fresca Rita”) to more creative concoctions, such as the “Cucumber & Black Pepper,” the “Watermelon Mint,” or the “Papaya Habanero.” And when paired with one of the restaurant’s fabulous appetizers, entrees, or desserts, the margarita reaches entirely new heights. Although technically located in Provo, the Owl Bar is actually part of Robert Redford’s Mount Timpanogos haven, Sundance Mountain Resort. Located up Provo Canyon, the resort is easy to access from Utah Valley, or even from Park City to the northwest. The Owl Bar is awesome for three reasons: its interior is actually a restored 1890s bar relocated from Thermopolis, Wyoming, to Sundance; it is located in one of Utah’s most scenic alpine areas; and its food, drinks, and live music make for a wonderful and unique drinking/dining experience. Known for its creative cocktails, the bar serves up an unforgettable, mountainside margarita. One of Utah’s most beloved restaurants, the Red Iguana has taken on mythic proportions over the years, and only continues to grow in popularity. If you want to experience some of the restaurant’s state-famous moles and margaritas, you’ll want to make a reservation at least a week in advance. Given the sheer scale of this restaurant, the size of its margarita menu is unsurprising. If you’re unsure what to order, Red Iguana’s bar menu has a list of “tried and true” margaritas, all of which are sure to please. Started by two Mexican immigrants, El Chihuahua is a landmark Salt Lake City restaurant with a massive following and an almost overwhelmingly large menu. That said, after trying one menu item, it is very likely you will return to try another. The same can be said for El Chihuahua’s drinks menu, which will be given to you upon request at the restaurant. El Chihuahua’s margaritas are refreshing, fun, and topped with a mini rubber ducky. Chimayo doesn’t claim to be a Mexican restaurant, but a Southwestern restaurant instead. What this means is that Chimayo can serve up delicious Mexican food without exclusively serving Mexican food, or without serving what would be considered completely “authentic” Mexican food. And as great as authentic Mexican food is, Chimayo is a testament to the fact that Mexican flavors can also inspire an amalgam of nuanced and innovative dishes. 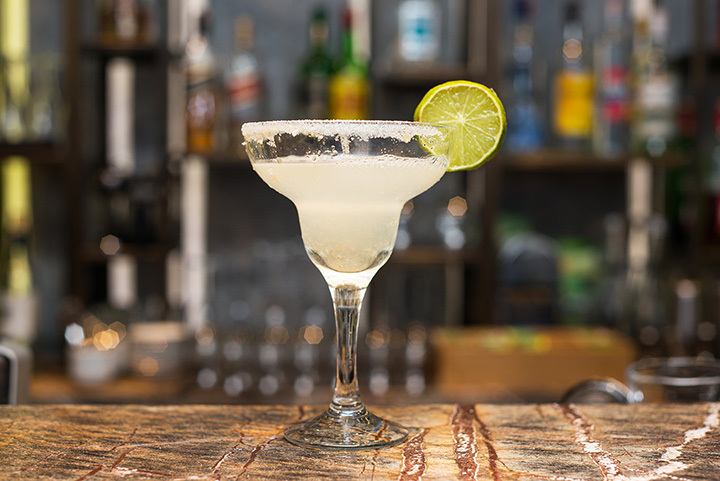 In addition to delicious food, Chimayo also creates tantalizing margaritas, which are considered by many to be the best margaritas in all of Park City. If you find yourself in Salt Lake City and craving a heightened sort of regional Mexican food, this is your place. In addition to its lunch and dinner menus, Alamexo has an impressive drinks menu, with the “Alamexo Margarita” at the top of the list. Pure, simple, and far from try-hard, this is not a margarita you want to miss. Another Salt Lake City establishment, Taqueria 27 is a “modern taqueria” with its own “interpretations of Latin American street food.” With three locations in the Salt Lake City environs, Taqueria 27 has taken Salt Lake Valley by storm, and for good reason: its tacos are one-of-a-kind and extremely addictive. The same could be said for Taqueria 27’s alcoholic beverages, of which the margarita is surely the most popular. With three locations in Southern Utah (Washington, St. George, and Springdale), Don Pedro’s Family Mexican Restaurant’s margaritas are some of the best. Especially after a long day in the desert heat, hiking around Utah’s national parks, a Don Pedro margarita will surely hit the spot. La Cocina is affordable Mexican food done right. One look at its monstrous portion sizes and you may want to consider sharing an entrée with your dinner partner. One of the best parts about La Cocina is its promise of a free margarita with dinner on Tuesday, Thursday, or Saturday after 4 p.m. The only catch? This free margarita is non-alcoholic, though you can still order an alcoholic margarita from its drinks menu. Cafe Sabor is a fun-loving, family restaurant with locations in Idaho and Utah. While most Utah locations are in Northern Utah (e.g. Bear Lake, Logan, and Layton), Cafe Sabor also has a location in St. George. This place is great spot for a classic margarita. You’ll never be let down.